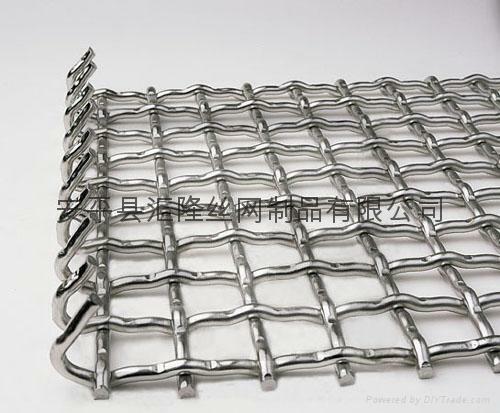 Specifications︰ Crimped wrie mesh are made of previously corrugated wires or rods and mounted alternately to make a plain cloth. The crimped wire diameter ranges between 1.50 mm and 5 mm, with square meshes within a wide range of possibilities. The cloth can have more or less stability, consistency and smooth surface according to the number of wire corrugations, their depth and distance between them; these are factors to be born in mind according to use needs.